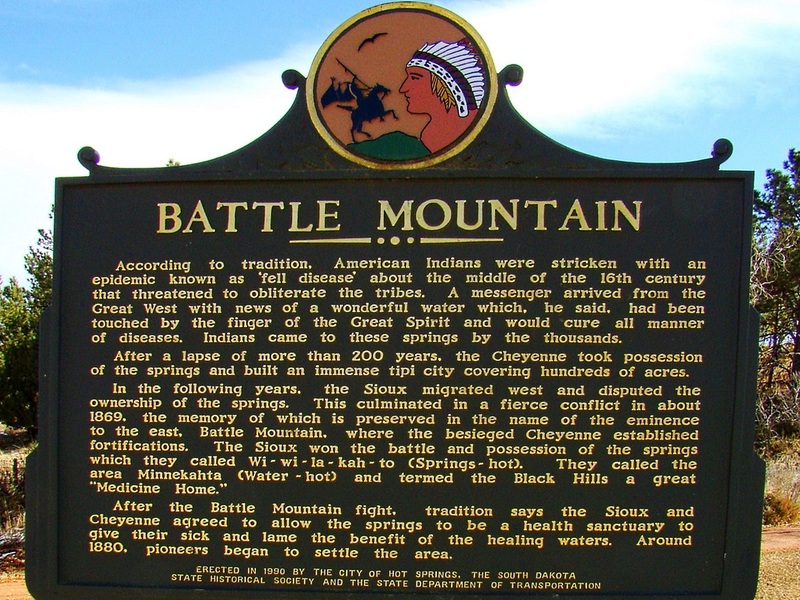 Battle Mountain lies in an area rich in history. 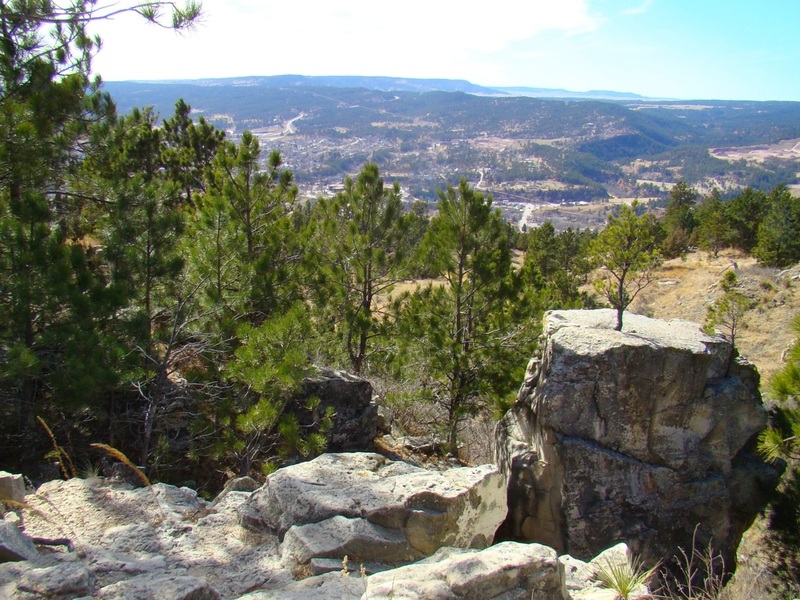 Located on the northeast side of the Fall River Canyon system, the area was a battleground for ancient Native American tribes. The tribes valued the warm mineral springs located throughout the canyon, and they used flint from the mountain for arrowheads. Game was plentiful in the surrounding hills as well as the prairie just 5 miles east. When American expansion pushed into the canyon in the late 1800’s, numerous spas and resorts were built around the hot springs in the canyon. 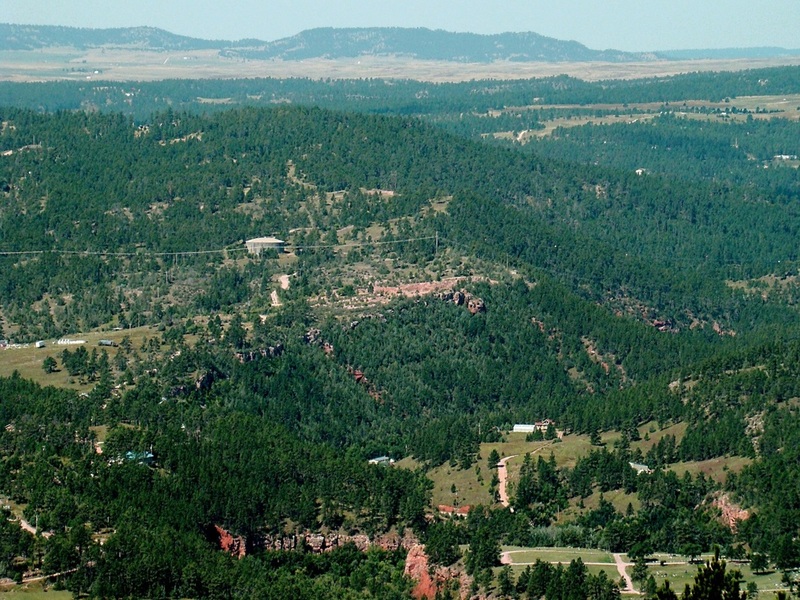 The city of Hot Springs still has many of those very old sandstone buildings around town. Hiking Battle Mountain is a favorite of locals. The route to the summit is by way of Battle Mountain Road, just one block from Highway 385 via Thompson Road in the north part of the city of Hot Springs. 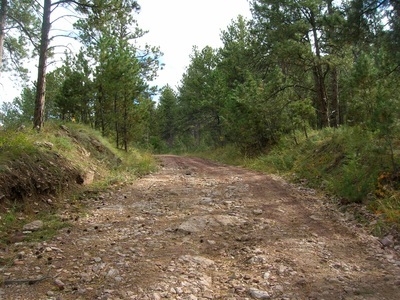 The road is a 4-wheel drive road and rather steep in places, ascending at a rate of about 600 feet per mile. 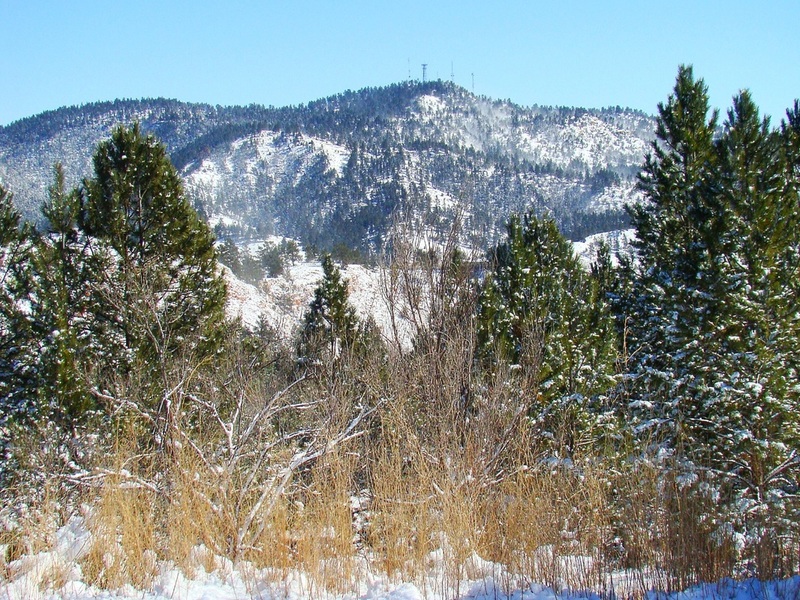 This makes muddy or icy hikes a bit treacherous. From Thompson Road to the summit parking area, it is about 1.4 miles, then another .1 mile climb up the old stairway made of cut railroad ties. 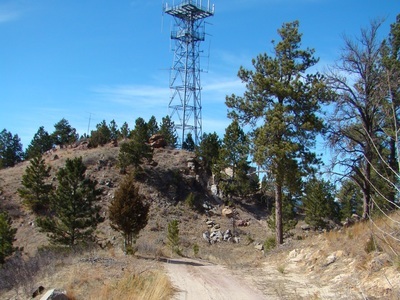 There are two cones at the top of Battle Mountain – east and west. The west cone is visible from the highway and most people assume it is the actual highpoint. 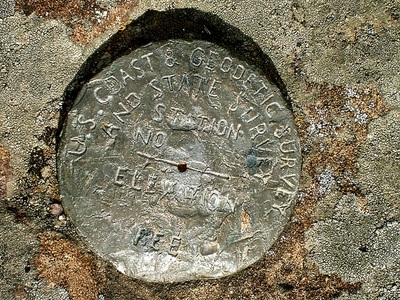 But, the east cone is actually higher. 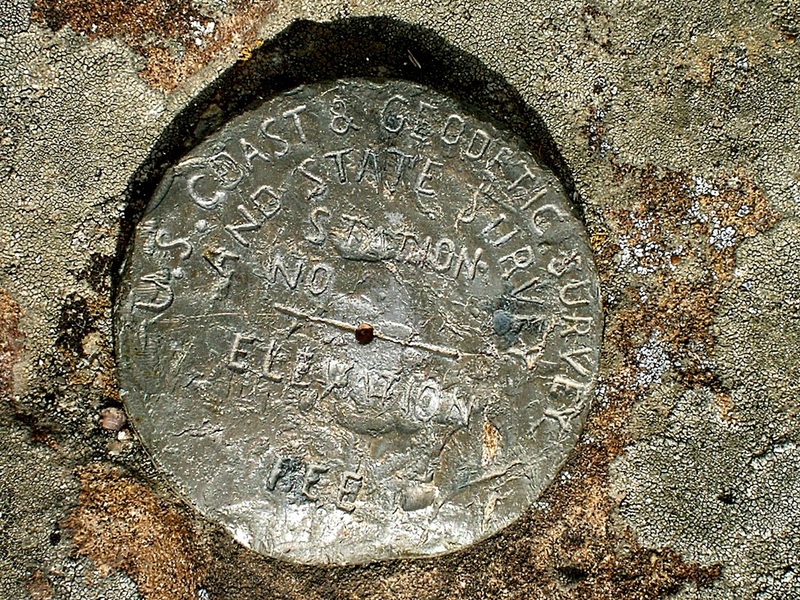 There is a brass geodetic marker at the exact summit highpoint, which is just under the old small-cab fire tower on the true summit cone. 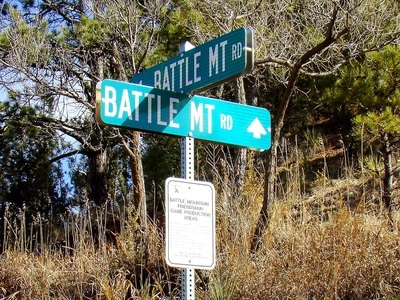 Battle Mountain Road has one major branch not far from the summit. 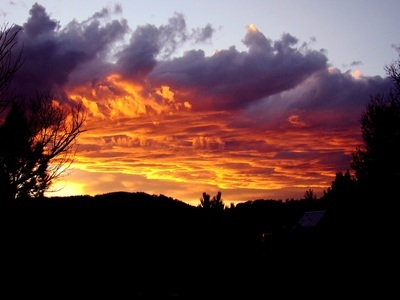 That branch goes off to the north and on into the game preserves. 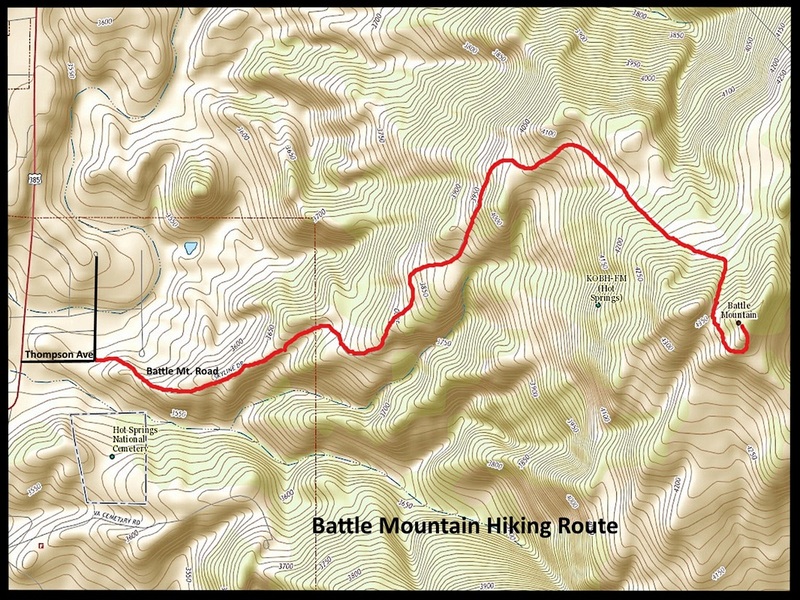 There is also a minor branch just .1 mile from the summit. The left branch just goes to a locked gate for a radio tower access road. The right branch turns sharply up between the two cones and then on to the small parking area at the top. This road was built as a service road and is poorly maintained. 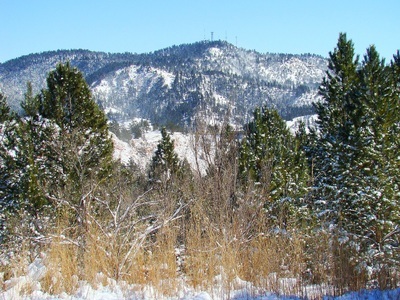 4-wheel drive vehicles and utility trucks travel up the road, but not frequently. 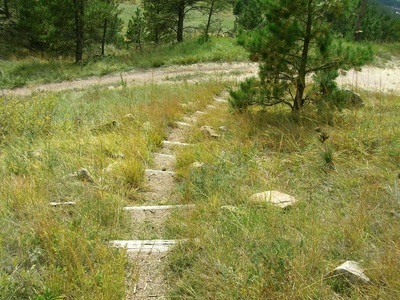 It is quite common to hike the road up and back down and never see another hiker or vehicle. 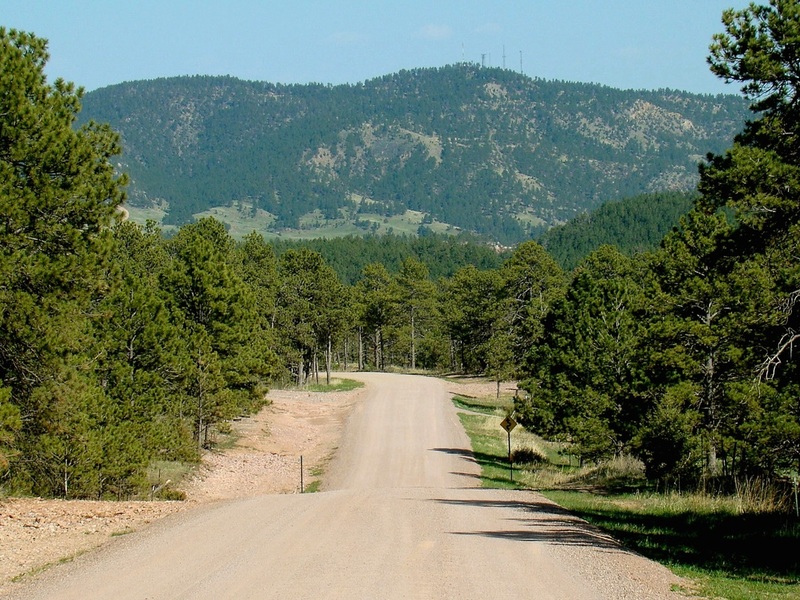 The road gets worse during spring snowmelt and after heavy rainfall. 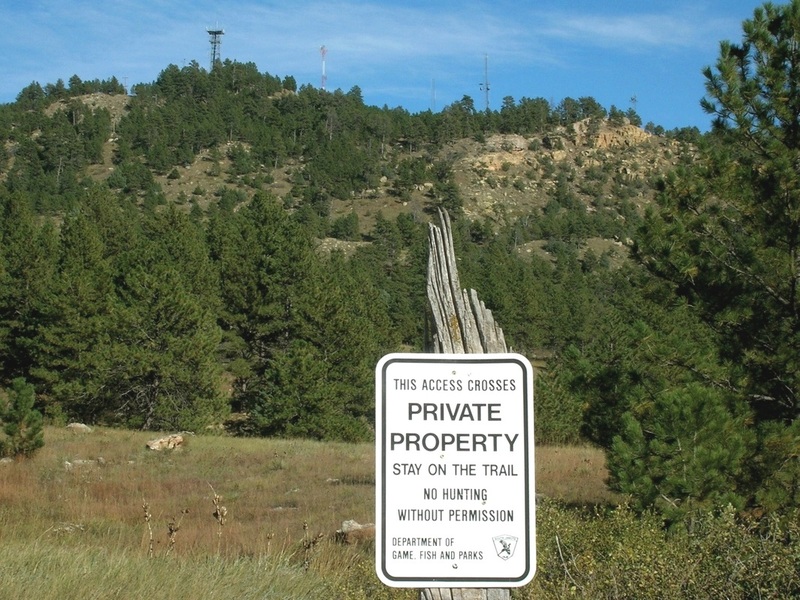 It passes through private property on the lower part of the mountain, so going off-road there will be trespassing. 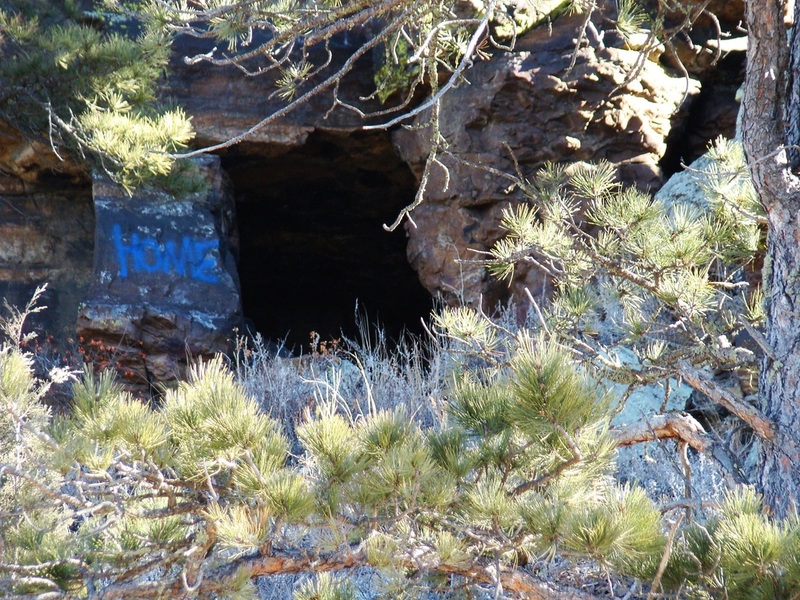 Please watch for the “No Trespassing” signs. The view at the summit is pretty good, though obscured by towers and trees in places. 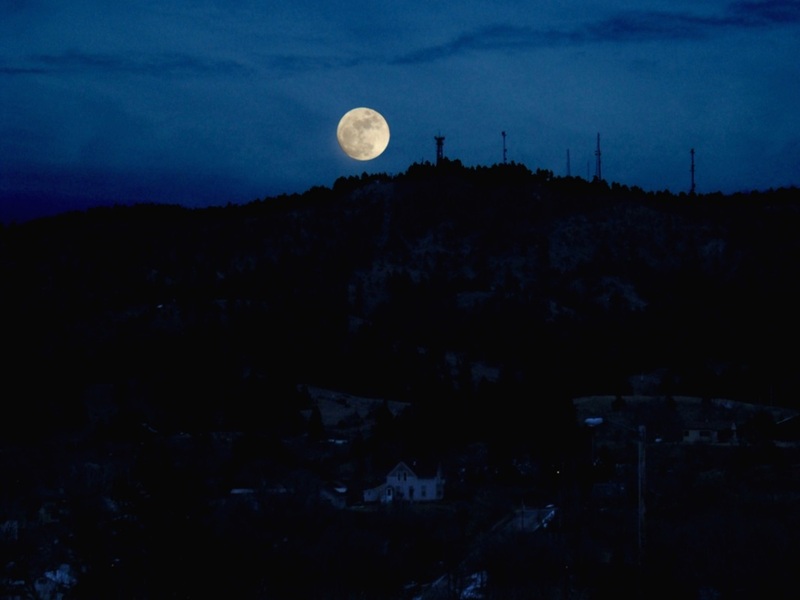 So, to see Black Elk Peak and Mount Coolidge to the north may require moving about for the best vantage point. 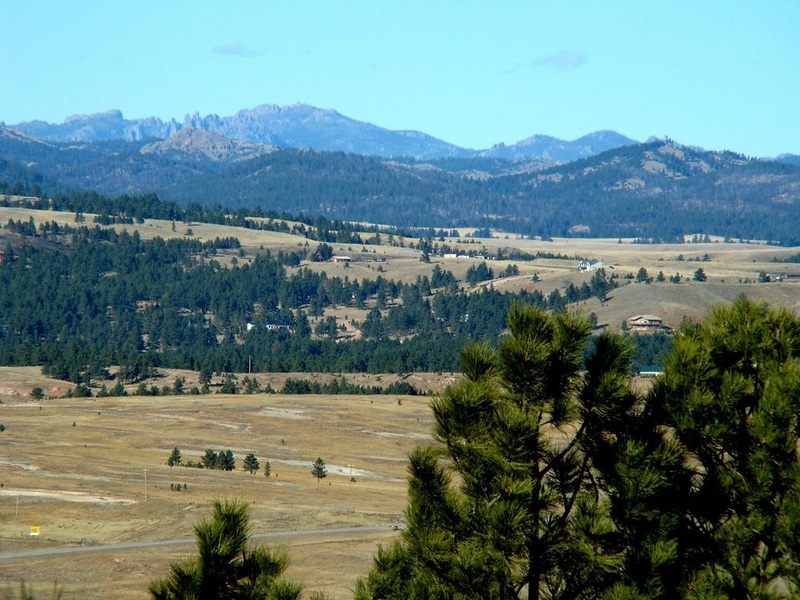 To the south, one can see the Seven Sisters Range, Angostura Reservoir, Flagpole Mountain, Devils Slide Mountain and the prairie beyond. To the west, one can see Cold Brook Reservoir and several minor peaks and the Black Hills National Forest. 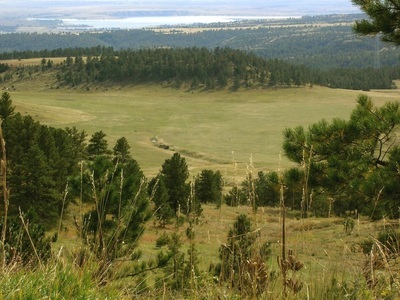 Wildlife is regularly seen on the mountain, with wild turkeys, rabbits and deer the most common. However, coyotes, elk and mountain lions also inhabit the area. 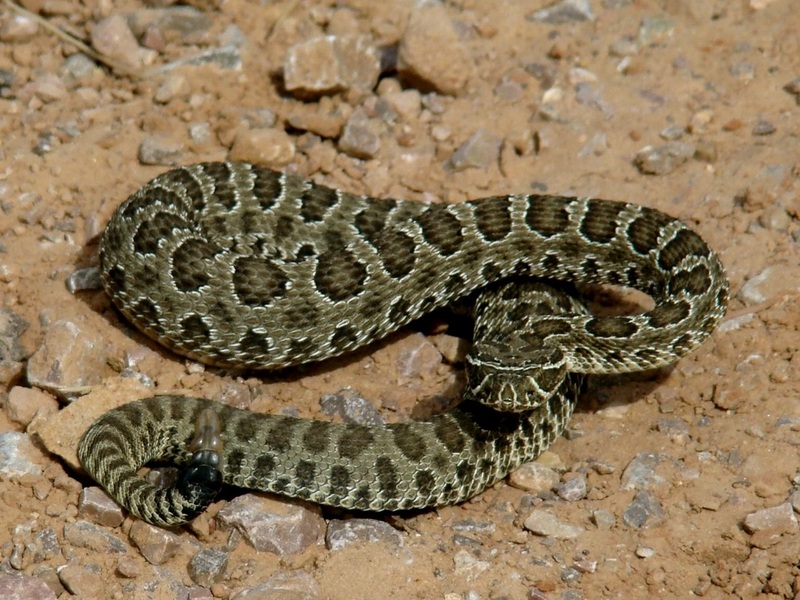 Rattlesnakes are seen on Battle Mountain on rare occasions, so caution is warranted. A rattlesnake on the Battle Mountain Road - Watch your footing! 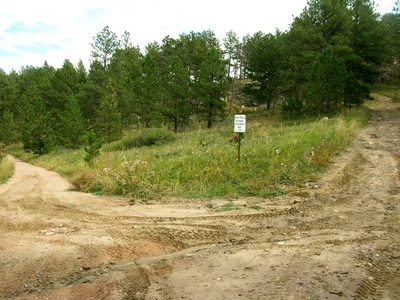 The Battle Mountain Road is often more rugged than this, depending on washouts. 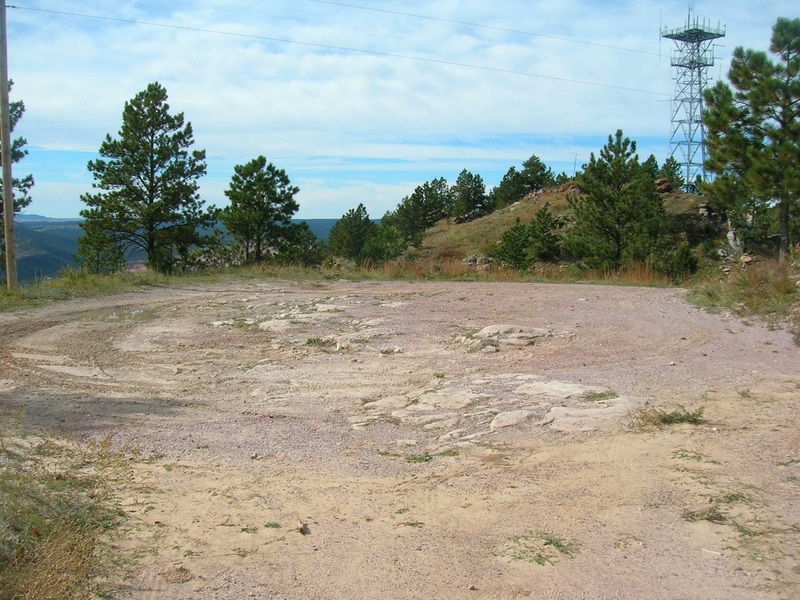 Road junction near the summit of Battle Mountain. The road to the left goes out to the Game Production Area. The "parking lot" at the upper end of the Battle Mountain Road. 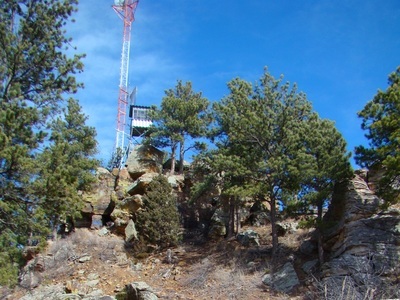 The stairway to the summit from the "parking lot"